Community members and art patrons around Michigan are invited to attend the Legacy Gala on Friday, August 4 in support of Michigan Legacy Art Park. 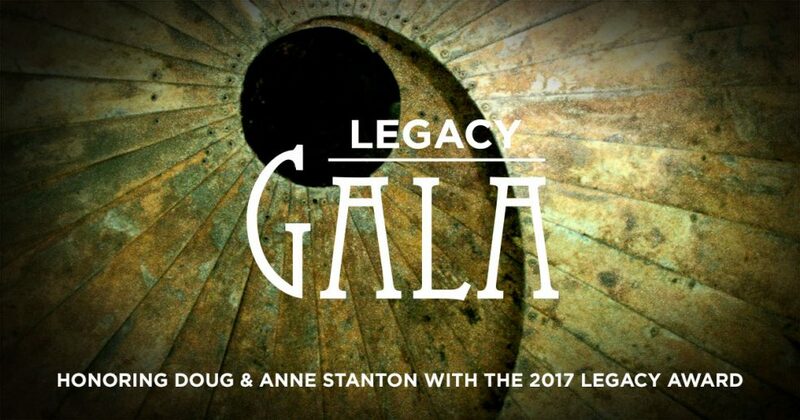 Doug and Anne Stanton have been selected as this year’s Legacy Award honorees in recognition of their own prolific writing, vision for building community through literature, and commitment to sharing a love for writing and reading with the next generation. Doug Stanton is a journalist, lecturer, screenwriter, and author of the New York Times bestseller In Harm’s Way and Horse Soldiers, the latter also a best-seller on lists in USA Today, Wall Street Journal, Los Angeles Times, Chicago Tribune, Entertainment Weekly Publisher’s Weekly, and IndieBound; named a “Notable Book” by the New York Times, and chosen as a “Best Book” by Publishers Weekly, Christian Science Monitor, Barnes & Noble, and Amazon.com. A graduate of Interlochen Arts Academy, Hampshire College, and University of Iowa Writers’ Workshop (MFA), Doug is also among the founding members of the Traverse City Film Festival, a nonprofit organization striving to further the art of cinema by bringing great movies and film education opportunities to northern Michigan. After receiving a Master of Arts degree in journalism in 1988 from the University of Michigan, Anne Stanton worked as an award-winning investigative reporter, writing stories of human drama and resilience, as well as health, business and education issues. In the last decade, Anne has used her interviewing, research, and writing skills to expand into ghostwriting and editing. She is a founding partner of Mission Point Press, an affiliation of experienced professionals supporting independent book publishers. In 2009, the couple, along with civil rights attorney Grant Parsons, established the National Writers Series—a nonprofit organization dedicated to enriching community by providing a venue for engaging nationally-renowned authors, and supporting aspiring writers through education programs and college scholarships. Over the past seven years, the National Writers Series has brought Pulitzer Prize winning authors, National Book Award recipients, Peabody and Emmy Award winners, as well as New York Times bestselling authors Gillian Flynn, Margaret Atwood, Tom Brokaw, Janet Evanovich, Temple Grandin, David Sedaris, and dozens more to northern Michigan. All event proceeds benefit Michigan Legacy Art Park.